SERIES C264, C274. C284, C294 VALVES. 2. SERIES C264, C274. C284, C294 VALVES. 200 psi, 2-Way Valves Tapped 1/2", 3/4", 1",1-1/4", 1-1/2", 2", 3"
200 psi, 3-Way Valves Tapped 1/2", 3/4", 1", 1-1/4", 1-1/2", 2", 3"
Soft Seated, 400 psi (28 bar) 2- & 3-Way Valves Tapped 1/4", 3/8"
Soft Seated 400 psi (28 bar) 2-Way Valves Tapped 1/2", 3/4", 1", 1-1/4", 1-1/2"
400psi (34 bar), 3-Way Valves Tapped 1/2", 3/4", 1", 1-1/4", 1-1/2", 2"
Hard Seated, 500 psi, 2- & 3-Way Valves Tapped 1/4", 3/8"
Hard Seated 500 psi (34 bar), 2-Way Tapped 1/2", 3/4", 1", 1-1/4", 1-1/2"
Hard Seated 500 psi (34 bar), 2-Way Valves Tapped 1/2", 3/4", 1", 1-1/4", 1-1/2"
500 psi (34 bar), 2- & 3-Way Valves Tapped 1/2", 3/4"
500 psi (34 bar), 2- & 3-Way Valves Tapped 1", 1-1/4"
Process control valves are an essential technology used in many industrial settings for controlling the flow of steam, hot or cold fluids, and inert gases. They ensure flow is maintained at the desired pressure to ensure optimal function of a particular mechanical process. Without regulation the speed at which the material substances flow through the line may surge or drop, causing quality inconsistencies or ruptures that can damage expensive equipment. 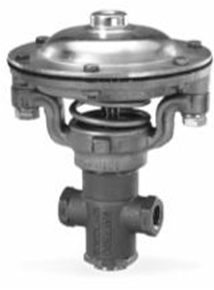 Process valves are diaphragm operated and are specially designed to direct, divert, or mix gases as well as cold or hot water. However, they may also be used to control different other compatible fluids. 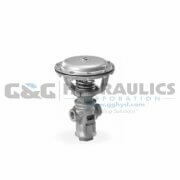 To ensure secure and efficient operation, the valve should be used in conditions where temperatures are no lower than -40°F and do not exceed 450°F. They can handle fluid pressures of up to 500 psi. There can be cases where the valves will leak, especially when used to control pressurized gases and vacuum applications. 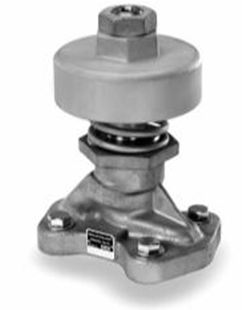 The problem occurs mostly when poppet valves are used with metal-to-metal seats that are prone to friction. In such instances it is recommended to use the soft seated 400 psi valve instead. Other more advanced applications involve temperature control in optical lens and plastic wire coating, in coolant systems for drilling machines, and glue control in board manufacturing. Valves are also used in controlling sterilizing fluids in dairy and medical equipment. 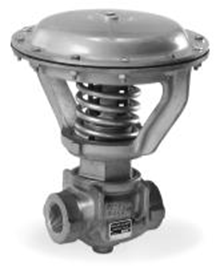 Sinclair Collins valves are made to last and guarantee stress-free, economical operation, and minimal maintenance. They ensure uninterrupted processes so production targets are met consistently. The valves are designed to run automatically, ensuring precise control and predictable process results. To lubricate your valves, just coat the Packer Bore and packing rings with Dow Corning III Compound. The compound is a versatile valve lubricant that resists a variety of both organic and inorganic chemicals. It can comfortably handle temperatures between -70° to 400°F, which is perfect for controlling the flow of both cold and hot fluids, and steam. Replacing the diaphragm is easy and shouldn’t take time. Simply undo the screws on the diaphragm cover, making sure you don’t enlarge the screw holes. Do not add any new screw holes. After assembling the rings, use the valve piston to remove the cover and to fit the new one. Be sure not to turn the screws too tightly as you may struggle undoing them next time you want to replace the diaphragm. In case you are replacing a 3-way valve with a 2-way, make sure you plug the third hole. Importantly, if temperatures in your area drop below freezing point, ensure the entire valve installation is moisture free as ice can immobilize parts that should move to function, which will cause valve failure. These valves come in two basic types - hard-seat and soft-seat and are marked by the maximum pressure they can handle. Hard-seat (metal-to-metal) valves are specified for a 500 psi limit while the soft-seat type is recommended for use in lower pressure situations, ideally not exceeding 400 psi. Soft-seat 400 psi valves feature a tighter seal that minimizes leakage, thanks to special Polytetrafluoroethylene (PTFE)-coated steel rings inside the valve stem. PTFE has excellent chemical resistance, is weatherable, does not melt easily, and has good electrical insulation properties. ● Swivel-stem design to reduce side load on the packer for faster, smoother operation and packer durability. ● A spring loaded chevron-packer that self-adjusts for reduced maintenance. ● Heat-treated steel rings in hard-seat valves for maximum durability. ● Skirted rings in hard-seat valves for minimal fluid bypass and lesser shock during valve shift. ● Lower and upper rings that are interchangeable across all three-way valves for simpler inventory management. The valves’ bodies are made from high strength Navy-M bronze while trims are in a strong and rust resilient stainless steel. The gaskets are spiral-wound from a stainless steel and filler material alloy. The diaphragm actuators can be a small or large size depending on the pressure required for the process or the recommended air pressure allowed for a particular port. While a smaller actuator may allow some saving on space, using it will reduce the valve’s usable operating pressure. A great advantage of these valves though is the diaphragm may be replaced while the valve is pressurized. It however needs to be de-energized. These valves are also diaphragm-operated, but with a pressure cap of 200 psi. They feature a single piece stem with an internal spring that covers for packer wear due to friction. The valve has a single seal whose cavity is shallower, with a correspondingly longer bearing. It has a drop-in stainless steel upper cage whose secondary function is to divert and control the fluid through the valve. As with Series C264, C274, C284, C294 valves discussed above, these valves also have a cast bronze body and stainless steel trim. They use a spiral wound gasket made from a mixture of stainless steel and filler material, which seals the upper seat. ● Spring- loaded stem packers, which enable automatic operation. ● Skirted stainless steel seats, which minimizes fluid bypass. ● Sturdier construction bronze bodies. ● Cylinder operator for efficient space utilization. Significantly these valves are designed for manifold mounting. This allows piping insulation for simpler installation as well as labour and energy savings. Manifold installations are easy to maintain. 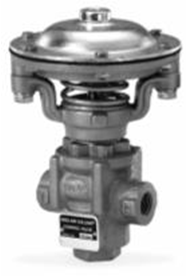 By simply unbolting, you can be done removing and replacing the valve within minutes. ● Spring loaded stem loaders that remove need for manual operation. ● Skirted stainless steel seats to prevent fluid bypass. ● Cylinder operator to optimize space usage. ● Bronze body for strength. ● Simplified installation through mounting, which lowers labor and energy costs, and enables piping insulation. These valves are designed for the control of steam, hot and cold water, and inert gases in low pressure environments. Their smaller size make them a good choice where there isn’t much space. Both the valve’s disc and stem are made from the same piece of stainless steel. 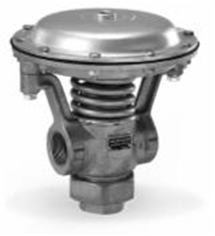 Seat rings on the valves are machined from stainless steel, which has very high corrosion resistance. ● Single glass reinforced ring with fixed internal spring for automatic stem packing. ● A spiral wound gasket made from a combination of non-corrosive stainless steel and filler materials. ● Strong stainless steel diaphragm springs that are coated for extra corrosion resistance. ● Diaphragm over with a reinforced elastomer sheet that can handle high temperatures. 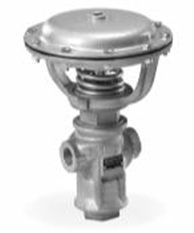 As with other Sinclair Collins diaphragms, a two-piece assembly makes it possible to replace the diaphragm while the valve is in use, but it will need to be de-energized. This is also handy for environments where there isn’t enough space to work. 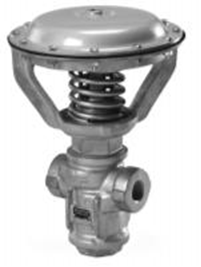 These valves are designed to control low pressure steam, hot or cold water, or inert gases. Their small size makes them ideal for use where the piping and operating space is limited. The stem packing is made up of a single glass reinforced PTFE ring and a trapped spring that enables automatic packing. The upper seat, which also serves to divert and direct substances through the valve, has a cage design. The seat rings themselves are made to drop-in for a more secure fit, from a strong stainless steel material. ● A spiral wound gasket made from stainless steel and a filler material for minimal wear. ● Yokes cast on the body for strength and compactness. ● Body cast in a strong and moldable bronze. ● High quality stainless steel diaphragm springs, which are coated for corrosion resistance. 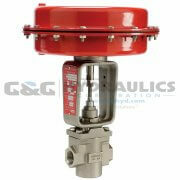 The valves use a single size diaphragm actuator for each of the common valve sizes. The actuators may only handle maximum pressures of 35 psi, but lower actuating air pressures can be used where the substances being controlled are flowing at low pressure. The diaphragm actuator is protected by a high quality elastomer sheet that can handle very hot fluids and steam. 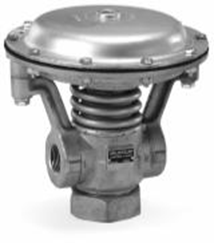 These valves feature a special two piece diaphragm design that allows for diaphragm repair and parts replacement while the valve is engaged and de-energized. This an important advantage for applications where working space is limited. These valves share the same design with the Series C244 valves. Though they are also specified for controlling hot and cold water as well as inert gases and air, they are commonly used to remove water from steam heating systems in automatic presses. This is thanks to a special orifice, or hole, drilled under the seat ring. This orifice collects water from the condensed steam so it can be removed without compromising valve pressure. The orifices come in different sizes so the operator may choose one that can drain water without significantly altering the pressure of the substances flowing through the line. The diaphragm operator has a special mechanism that enables automatic operation of the orifice. Other features are fairly standard, with a compact design specially adapted for low pressure steam, hot or cold water, and inert gases and air. The stem and disc are machined from the same stainless steel piece and the seat rings are made to drop in for a secure fit. The upper seat, in a cage design, also help to direct substances through the valve. The stem packing is a single ring protected with glass fortified PTFE, which can handle extreme cold and heat as well as highly corrosive substances. It has an internally fixed spring that enables self-adjusted packing. ● A two-piece diaphragm assembly that enables quick and easy repair, even while the valve is pressurized, with the energy turned off. These valves use a single size diaphragm actuator for each valve size. As with other 200 psi valves, this model may only handle actuating pressures of up to 35 psi. The throttling orifices for this valve are available in 1/8, 3/16, 1/4, 5/16, and 3/8 inch sizes. 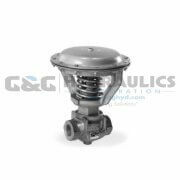 If a ½ orifice size is desired, you may order and use those for the C244-2001 valve model. A special feature of 2WNC valves is they can be ported in reverse, with the fluids flowing in from the No. 2 Port. The consequence is pressure will come from under the valve seat, which rids the stem packing of continuous pressure. ● Internally fitted seats and a valve stem with soft seats made from PTFE stainless steel for added strength. ● The rubberized seat prevents leaks and the stem packers have a loading spring to ensure minimal maintenance and durability. ● An engineered proprietary polymer bearing that is intelligently pressed into the packer gland guides the stem. These valves’ standard application is to control steam, hot and cold fluids, as well as inert gases. But they are also effective when used as a pilot valve to intensify pneumatic signals on process instruments. When channeled to the diaphragm actuator, the pneumatic signals make it possible for the valve to be used to externally control large valves. The valves have a compact design that is perfect for protecting precious instruments and which is ideal both 2-way and 3-way applications. The stem can move from closed to open mode in a rapid motion. The diaphragm assembly is Sinclair Collins’ signature two-piece assembly which enables diaphragm service and repair while the valve is pressurized, but de-energized, which is perfect for conditions where head space is limited. There are valves with stronger, molded PTFE diaphragms, which you can order by replacing the fourth character in L204-0003 with a 6. This changes the model to L206-0003. This valve is available in 2-way and 3-way configurations and may only be used to control substances that are flowing, through Port No. 1, at pressures not exceeding 400 psi. The diaphragm actuator pressure must be above 40 psi. That said, the valve can be used as a standard, directional control valve and also, with Port No. 3, as a mixing valve. When used as a mixing valve, the pressure from the mixing substance coming in through the third port cannot exceed 275 psi, with an actuating pressure capped at 35 psi. The pressure through the exit port, No. 3, can be maintained at 400 psi or lower. 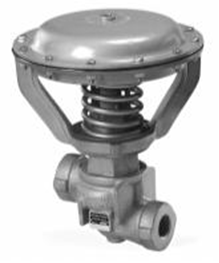 ● Two-piece diaphragm design that enables disassembly and repair while the valve is engaged, but in a de-energized state, and which is ideal for environments where there isn’t much headspace. These valves feature soft seats, with resilient, PTFE protected stainless steel reinforced rings affixed to the stem. The valves are designed for applications where an especially tight seal is needed. The valve body is molded from high grade Navy-M bronze for shatter proof strength. ● CV rated internal valve surfaces which enable faster recovery times from extreme temperatures. The 2WNC model valves can be ported in reverse, with the fluids flowing in from the No. 2 Port. The result is pressure comes from under the seat, which rids the stem packing of continuous pressure. The 2WNO and 2WNC valves can be used for vacuum applications. For that, the ports are also configured in reverse, with the fluids flowing in from the No. 2 Port. The consequence is pressure coming from under the seat, but, crucially, this does not disturb stem packing function, which is pressurized from inside. You can order valves with special molded PTFE diaphragms. Simply replace the fourth character in the model number with a 6. It should change to C286-20011. The valves in this range feature the same design with the one above, but has a third port at the bottom of the valve. 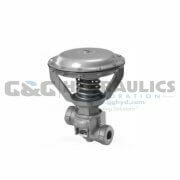 The valve may thus be used to control and redirect the flow of fluids moving through the line or as a mixing valve. With the latter application, ports No.1 and No.3 act as the inlets while Port No.2 is the outlet. The maximum allowable pressure for the fluids and actuator will depend on the size of the valve. The valves feature soft seats made from with resilient, PTFE reinforced stainless steel rings affixed to the stem. The valves are designed for applications where an especially tight seal is needed. The valve body is molded from high grade Navy-M bronze for greater strength. The 2WNC model valves can be ported in reverse, with the fluids flowing in from the No. 2 Port. The consequence is pressure coming from under the seat, which cuts continuous pressure from the stem packing. The 2WNO and 2WNC valves can be used for vacuum applications. For that, the ports are also configured in reverse, with the fluids flowing in from the No. 2 Port. The effect is pressure coming from under the seat, but, crucially, this does not disturb stem packing function, which is pressurized from inside. You can order valves with special molded PTFE diaphragms. Simply replace the fourth character in the model number with a 6. It should change to C266-2005. The models in this range are specified for use as standard, straight line, directional (2-way), or as mixing (3-way) valves. To direct flow with port no.2 as the inlet, the fluid pressure must be capped at 500 psi. For directional function, either the valve’s No. 2 or No.3 port will need to be plugged. To use as a mixing valve, the same maximum pressure is allowed for port No. 1, while that for the second inlet port, No.3, must not exceed 225 psi for the fluid and 30 psi for the actuator. To let in fluids at 500 psi through port No. 3, actuator pressure will need to be increased to 40 psi. Port No.3 is normally the inlet for the mixing substance. But it Port No. 1 may be also be used as the mixer fluid inlet, for which the maximum pressure should not exceed 240 psi, while Port No.3 will be the main inlet with a maximum pressure of 375 psi. The pressure at Port No. 3 may only be increased to a maximum of 500 psi if the actuator is increased to 40 psi. 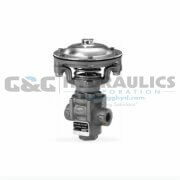 ● Two-piece diaphragm design that enable actuator replacement while the valve is in use. But the valve will need to be de-energized. 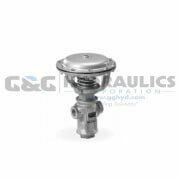 Gas tested valves are available. To order them, simply add a 2 to the end of the model number, which will read as C264-00092. If you prefer your valves with molded PTFE diaphragms, replace the fourth character in the model number with a 6. It will read as C266-0009. ● Spiral wound gasket made in bonded stainless steel and filler materials that seal the upper seat and adapter to prevent fluid bypass and loss respectively. ● Strong stainless steel diaphragm rings protected with a proprietary coating for greater corrosion resistance. The valves in this model range are designed for most uses where 2-way valves would be applicable. As with other 2-way valves of a similar configuration, 2WNO and 2WNC can be ported in reverse, with substance flowing in through Port No.23, which is normally the outlet. This channels pressure from under the seat, without any effect on stem packing, which is designed to be pressurized from inside. 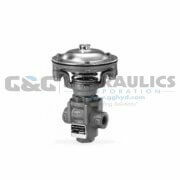 These valves are designed for use with both small and large actuators. But, while the smaller actuators enable some savings on space, using them will cut the maximum usage valve pressure. The valve stem is a clever swivel design that balances packer side load, which prolongs its use life. ● Valve can be used with interchangeable small and large actuators. ● The larger actuators enable valve operation at maximum pressure but can also be used, with lower air pressure, when controlling lower pressure fluids. ● Spiral wound gasket made in a strong stainless steel/filler material that seals the upper seat and adapter to prevent fluid bypass and loss respectively. ● A two-piece diaphragm assembly that enables quick and easy repair, even while the valve is pressurized. The valve will however need to be de-energized. The models in this range are specified for use as standard, straight line, directional (2-way), or as mixing (3-way) valves. They are marked by the two 1/2" and 3/4" sizes they are available in. To direct flow with port no.2 as the inlet, the pressure must be capped at 500 psi. To use as an inline or directional valve, either the No. 2 or No.3 port will need to be plugged. The 2-way valves are available in both inline and angle designs. To use as a mixing valve, the same maximum pressure is allowed for port No. 1, while pressure through the second inlet port, No.3, must not exceed 225 psi for the fluid and 30 psi for the actuator. To let in fluids at 500 psi through port No. 3, actuator pressure will need to be increased to 40 psi. Port No.3 is normally the inlet for the mixing substance. But it Port No. 1 may be also be used as the mixer fluid inlet, for which the maximum pressure should not exceed 240 psi. Port No.3 will be the main inlet with a maximum pressure of 375 psi. The pressure at Port No. 3 may only be increased to a maximum of 500 psi if the actuator is increased to 40 psi. ● Two-piece diaphragm designthatenable actuator replacement while the valve is in use. But the valve will need to be de-energized. Gas tested valves are available. To order them, simply add a 2 to the end of the model number, which will read as C264-00012. If you prefer your valves with molded PTFE diaphragms, replace the fourth character in the model number with a 6. It will read as C266-2001. This 1” size valve, available with 1", 11/4" tapped ports, is a 3-way (angle/directional) design that can be used as 2-way (inline) valve when Port No.3 is plugged. The valve is designed for both small and large diaphragm actuators. But while they provide some saving on space, small actuators will reduce the maximum valve pressure allowable for the port sizes. ● Two-piece diaphragm design that enables actuator replacement while the valve is in use. But the valve will need to be de-energized. There is a gas tested model available with the same specifications. To order them, simply add a 2 to the end of the model number, which will read as C264-40012. If you prefer your valves with molded PTFE diaphragms, replace the fourth character in the model number with a 6. It will read as C266-4001. These are standard 2 and 3-way valves that are designed to handle fluid pressures of up to 500 psi. What marks them from the other valves of the same design is their larger port sizes and, to an extent, stronger Navy-M bronze bodies. The seats are also skirted to prevent slow reduction of flow before the seat is engaged and to ensure lower fluid bypass. Everything else, including cast bronze adapter and yoke and stainless steel seats and stem, is standard Sinclair Collins’ quality. The valves are a 3-way (angle/directional) design that can be adapted for 2-way (inline) valve function when the Port No.3 is plugged. The maximum allowable pressure will however differ depending on which ports are used as inlets and outlets for the three inline, directional, and mixing valve applications. You can order a gas tested model that is also available. Simply add a 2 to the end of the model number, which will read as C264-60012. If you prefer your valves with molded PTFE diaphragms, replace the fourth character in the model number with a 6 so the model number reads as C266-6001. The C304 Series are cylinder operated valves that are mounted onto bases that are adapted onto the line instead of having piping running through them. The ports are thus drilled onto the base of the valve where they will have to align with the corresponding holes on the detachable bases. These manifold valves are either mounted on individual bases or in clusters on a single base specially designed for your particular application. They are perfect for applications where there is need for downtime is important. The valves can be disassembled and repaired easily. They are super compact and do not use as many pipes as standard valves. ● An actuator that can be removed and replaced while the valve is in service, but de-energized. These are the same C-304 Series design, with cylinder operated, manifold valve features. They differ in that they are specified to control fluids flowing at pressures of up to 500 psi, with an actuator air pressure of 40 psi. This model comes in 2-way and 3-way types, both of which can either be mounted on individual bases or in clusters on custom, multi-station bases that are made to your specific needs. ● An actuator that can be removed and replaced while the valve is in service, but in a de-energized state. There are gas tested C-304 Series, 500 psi valves available, which you can order by simply adding a 2 at the end of the model number. The model in this case will read C304-20092. Anodized aluminium is a special aluminium that is thickened through an electrolytic process to improve its resistance to wear and corrosion. Directional valve is a process valve that alters the direction in which a pipeline runs in. Inline valve is a process valve, also known as a straight feed valve, which regulates the flow of substances running through a pipeline without changing the line’s direction. Orifice is a hole or vent through which a substance, usually a fluid, may collect or drain. Proprietary polymer is a unique polymer that is specially made for a particular purpose. Spiral wound gasket is a type of gasket made from steel and filler material wound in alternating layers for superior sealing and minimal wear. Swivel-stem is valve stem designed to turn around freely in a circular motion for improved balance. C294-4004 Parker Sinclair Collins Valves 2-Way Normally Open Hard Seat Valve, 500 psi, 1-1/4" N..
C294-40032 Parker Sinclair Collins Valves 2-Way Normally Open Gas Tested/Hard Seat Valve, 500 psi, 1..
C294-4003 Parker Sinclair Collins Valves 2-Way Normally Open Hard Seat Valve, 500 psi, 1" NPTF ..
C294-4002 Parker Sinclair Collins Valves 2-Way Normally Closed Hard Seat Valve, 500 psi, 1-1/4"..
104188 (Catalog # K21-42114000) Parker Sinclair Collins K Series, 2-Way Normally Closed, 1" Pro..
104187 (Catalog # K21-22112000) Parker Sinclair Collins K Series, 2-Way Normally Closed, 1/2" P..
103861 (Catalog # L204-0003) Parker Sinclair Collins Valves 3-Way Normally Closed Soft Seated Valve,..
103802 (Catalog # K01-42014000) Parker Sinclair Collins K Series 2-Way Normally Closed 1" Proce..
103801 (Catalog # K01-32013000) Parker Sinclair Collins K Series, 2-Way Normally Closed, 3/4" P..
103800 (Catalog # K01-22012000) Parker Sinclair Collins K Series, 2-Way Normally Closed, 1/2" P..
103253 (Catalog # C284-40041) Parker Sinclair Collins Valves 2-Way Normally Open Soft Seated Valve, ..
103252 (Catalog # C284-40011) Parker Sinclair Collins Valves 2-Way Normally Closed Soft Seated Valve..
102909 (Catalog # C284-20062) Parker Sinclair Collins Valves 2-Way Normally Closed Gas Tested/Hard S..
102894 (Catalog # C284-40062) Parker Sinclair Collins Valves 2-Way Normally Closed Hard Seat Valve, ..
102740 (Catalog # C264-40131) Parker Sinclair Collins Valves 3-way Normally Closed Directional Mixin..
102711 (Catalog # C264-40061) Parker Sinclair Collins Valves 3-way Normally Closed Directional Mixin..
102699 (Catalog # C284-20082) Parker Sinclair Collins Valves 2-Way Normally Open Gas Tested/Hard Sea..
102697 (Catalog # C264-00092) Parker Sinclair Collins Valves 2-Way Normally Closed Gas Tested/Hard S..
102617 (Catalog # C284-40022) Parker Sinclair Collins Valves 2-Way Normally Closed Gas Tested/Hard S..
102611 (Catalog # C284-40042) Parker Sinclair Collins Valves 2-Way Normally Open Gas Tested/Hard Sea..
102610 (Catalog # C284-40031) Parker Sinclair Collins Valves 2-Way Normally Open Soft Seated Valve, ..
102609 (Catalog # C284-40032) Parker Sinclair Collins Valves 2-Way Normally Open Gas Tested/Hard Sea..
102606 (Catalog # C284-20052) Parker Sinclair Collins Valves 2-Way Normally Closed Gas Tested/Hard S..
102605 (Catalog # C284-20042) Parker Sinclair Collins Valves 2-Way Normally Open Gas Tested/Hard Sea..
102604 (Catalog # C284-20022) Parker Sinclair Collins Valves 2-Way Normally Closed Gas Tested/Hard S..
102603 (Catalog # C284-20012) Parker Sinclair Collins Valves 2-Way Normally Closed Gas Tested/Hard S..
102602 (Catalog # C284-00072) Parker Sinclair Collins Valves 2-Way Normally Open Gas Tested/Hard Sea..
102592 (Catalog # C264-00132) Parker Sinclair Collins Valves 3-Way Normally Closed Directional Mixin..
102498 (Catalog # C414-4001) Parker Sinclair Collins Valves 2-Way Normally Closed Process Control Va..
102397 (Catalog # C284-6008) Parker Sinclair Collins Valves 2-Way Normally Open Hard Seat Valve, 200..
102396 (Catalog # C284-6006) Parker Sinclair Collins Valves 2-Way Normally Closed Hard Seat Valve, 2..
102395 (Catalog # C284-60041) Parker Sinclair Collins Valves 2-Way Normally Open Soft Seated Valve, ..
102394 (Catalog # C284-6004) Parker Sinclair Collins Valves 2-Way Normally Open Hard Seat Valve, 450..
102392 (Catalog # C284-6002) Parker Sinclair Collins Valves 2-Way Normally Closed Hard Seat Valve, 5..
102390 (Catalog # C284-4008) Parker Sinclair Collins Valves 2-Way Normally Open Hard Seat Valve, 275..
102389 (Catalog # C284-4007) Parker Sinclair Collins Valves 2-Way Normally Open Hard Seat Valve, 275..
102388 (Catalog # C284-4004) Parker Sinclair Collins Valves 2-Way Normally Open Hard Seat Valve, 500..
102387 (Catalog # C284-4003) Parker Sinclair Collins Valves 2-Way Normally Open Hard Seat Valve, 500..
102386 (Catalog # C284-4006) Parker Sinclair Collins Valves 2-Way Normally Closed Hard Seat Valve, 3..
102385 (Catalog # C284-4005) Parker Sinclair Collins Valves 2-Way Normally Closed Hard Seat Valve, 3..
102384 (Catalog # C284-4002) Parker Sinclair Collins Valves 2-Way Normally Closed Hard Seat Valve, 5..
102383 (Catalog # C284-4001) Parker Sinclair Collins Valves 2-Way Normally Closed Hard Seat Valve, 5..
102382 (Catalog # C284-20061) Parker Sinclair Collins Valves 2-Way Normally Closed Soft Seated Valve..
102381 (Catalog # C284-20051) Parker Sinclair Collins Valves 2-Way Normally Closed Soft Seated Valve..
102380 (Catalog # C284-20032) Parker Sinclair Collins Valves 2-Way Normally Open Gas Tested/Hard Sea..
102379 (Catalog # C284-20041) Parker Sinclair Collins Valves 2-Way Normally Open Soft Seated Valve, ..
102378 (Catalog # C284-20031) Parker Sinclair Collins Valves 2-Way Normally Open Soft Seated Valve, ..
102377 (Catalog # C284-2008) Parker Sinclair Collins Valves 2-Way Normally Open Hard Seat Valve, 375..
102376 (Catalog # C284-2007) Parker Sinclair Collins Valves 2-Way Normally Open Hard Seat Valve, 375..
102375 (Catalog # C284-2004) Parker Sinclair Collins Valves 2-Way Normally Open Hard Seat Valve, 500..
102374 (Catalog # C284-2003) Parker Sinclair Collins Valves 2-Way Normally Open Hard Seat Valve, 500..
102373 (Catalog # C284-20021) Parker Sinclair Collins Valves 2-Way Normally Closed Soft Seated Valve..
102372 (Catalog # C284-20011) Parker Sinclair Collins Valves 2-Way Normally Closed Soft Seated Valve..
102371 (Catalog # C284-2006) Parker Sinclair Collins Valves 2-Way Normally Closed Hard Seat Valve, 4..
102370 (Catalog # C284-2005) Parker Sinclair Collins Valves 2-Way Normally Closed Hard Seat Valve, 4..
102369 (Catalog # C284-2002) Parker Sinclair Collins Valves 2-Way Normally Closed Hard Seat Valve, 5..
102368 (Catalog # C284-2001) Parker Sinclair Collins Valves 2-Way Normally Closed Hard Seat Valve, 5..
102366 (Catalog # C284-00071) Parker Sinclair Collins Valves 2-Way Normally Open Soft Seated Valve, ..
102365 (Catalog # C284-0008) Parker Sinclair Collins Valves 2-Way Normally Open Hard Seat Valve, 375..
102364 (Catalog # C284-0007) Parker Sinclair Collins Valves 2-Way Normally Open Hard Seat Valve, 375..
102328 (Catalog # C264-60051) Parker Sinclair Collins Valves 3-way Normally Closed Directional Mixin..
102312 (Catalog # C264-40051) Parker Sinclair Collins Valves 3-way Normally Closed Directional Mixin..
102306 (Catalog # C264-20141) Parker Sinclair Collins Valves 3-way Normally Closed Directional Mixin..
102305 (Catalog # C264-20131) Parker Sinclair Collins Valves 3-way Normally Closed Directional Mixin..
102292 (Catalog # C264-20061) Parker Sinclair Collins Valves 3-way Normally Closed Directional Mixin..
102290 (Catalog # C264-20051) Parker Sinclair Collins Valves 3-way Normally Closed Directional Mixin..
102288 (Catalog # C264-2004) Parker Sinclair Collins Valves 2-Way Normally Open Angle Porting Valve,..
102286 (Catalog # C264-2002) Parker Sinclair Collins Valves 2-Way Normally Closed Inline Porting Val..
102284 (Catalog # C264-20011) Parker Sinclair Collins Valves 2-Way Normally Closed Gas Tested/Inline..
102283 (Catalog # C264-2001) Parker Sinclair Collins Valves 2-Way Normally Closed Inline Porting Val..
102280 (Catalog # C264-0016) Parker Sinclair Collins Valves 3-Way Normally Open Directional Mixing H..
102279 (Catalog # C264-0015) Parker Sinclair Collins Valves 3-Way Normally Open Directional Mixing H..
102277 (Catalog # C264-0014) Parker Sinclair Collins Valves 3-Way Normally Closed Directional Mixing..
102275 (Catalog # C264-0013) Parker Sinclair Collins Valves 3-Way Normally Closed Directional Mixing..